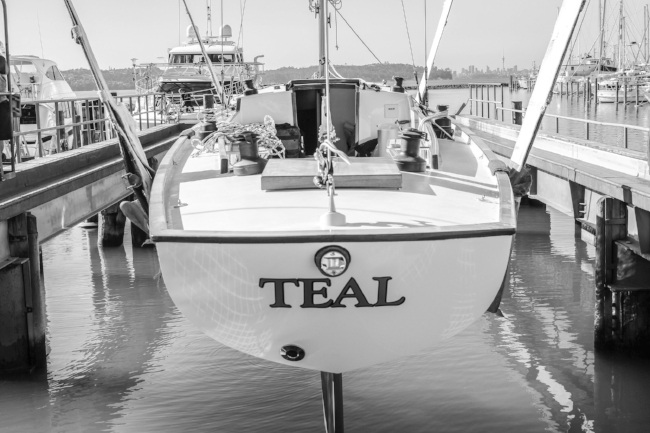 On the 4 April 2018, Yachting Developments relaunched the classic yacht Teal after she completed a major restoration, with the yacht travelling down the road to West Park Marina in Hobsonville where she re-entered the water. Teal was first launched on 22 December 1948 and is 70 years old this year. Originally built at Lidgard Boats for Sir William Goodfellow she was owned by Air Chief Marshall Sir Keith Park in latter years. Fast forward to the 21st century and Teal was lying in Orakei Marina in 2012 and due to be scrapped. Luckily the Tino Rawa Trust purchased her for a symbolic dollar and funded the restoration of Teal. After sitting in storage for many years Teal arrived at the Yachting Developments yard in 2016 in extremely poor condition and was essentially just a hull, with no deck or machinery. Fitted out in the style of a gentleman's cruiser, Teal was lovingly restored over the course of more than a year, returning her to her former glory. "Her new design acknowledges the past, but she has been reborn for the future," says Tony Stevenson, Chairman of the Tino Rawa Trust. 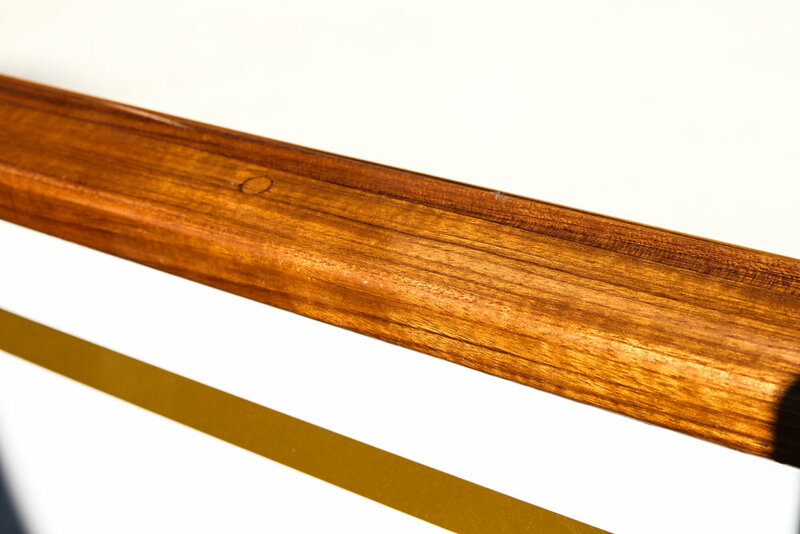 Her new deck layout and cabin design were the work of a design team that included Ian Cook, Managing Director of Yachting Developments, Bob Graham of Yachting Developments, and members of the Tino Rawa Trust. All previous modifications were stripped away and the design team started with a blank canvas and designed a new cockpit and cuddy cabin setup that was in keeping with Teal's character. A large cockpit will allow bigger groups of youth sailors to sail on board, while the cuddy cabin will provide shelter in inclement weather. Teal will now live in the Viaduct together with the Tino Rawa Trust's fleet of boats, and will be used as a day sailor for youth development programmes, providing sailing experiences to young Kiwis. On recent sea trials, with her new sails from Doyle Sails, Teal performed exceptionally. "She's lethal," says Tony. "Extremely fast and she will hopefully introduce the youth of today with our classics from a previous era. The Trust is very appreciative of the support we have received from Yachting Developments and Doyle Sails." Pre-restoration Teal sits at the Orakei Marina with the Writ for removal and disposal attached to her hull. "I love this beautiful classic yacht, and I'm so happy that people choose to restore these pieces of New Zealand history," says Paige Cook of Yachting Developments." 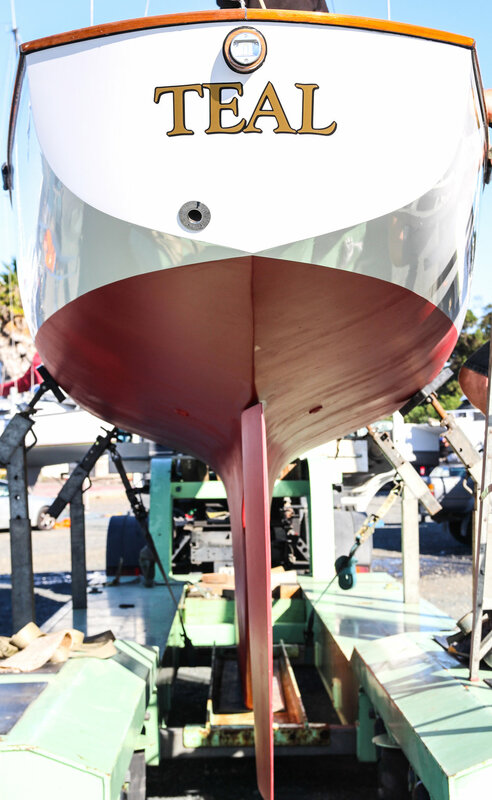 Final countdown until Lion New Zealand relaunches following major refit at Yachting Developments.